January 17, 2012 – “BON JOVI Because We Can – The Tour” has just added a State College, PA concert at Bryce Jordan Center on Saturday, February 23rd. Tickets will go on sale on Friday, January 25th at 10:00am. BJC Insiders will have an opportunity to purchase tickets before the public between January 23 at 10am until Thursday, January 24 at 10pm. The tour will debut brand new songs from Bon Jovi’s upcoming album WHAT ABOUT NOW, to be released March 26th on Island Records. 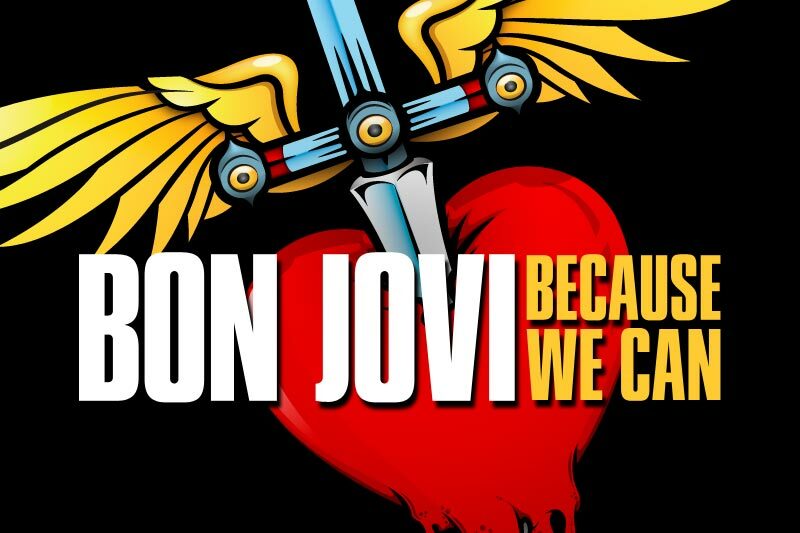 The album’s first single “Because We Can” is currently at radio and available now on iTunes (http://smarturl.it/BecauseWeCan). Additional songs will be available prior to the March 26th album release date; these tracks will be eligible for an iTunes “Complete My Album,” and the Official Bon Jovi App is available now for download at http://smarturl.it/BonJoviApp. WHAT ABOUT NOW will also feature the Golden Globe Award nominated “Not Running Anymore” — an original song by Jon Bon Jovi from the new Lionsgate motion picture Stand Up Guys. The group’s return to the road in 2013 will launch the latest chapter in an ongoing blockbuster run which has already secured Bon Jovi’s status as the essential live rock band – having performed more than 2,700 concerts in over 50 countries for more than 35 million fans. “BON JOVI Because We Can – The Tour” will make its way across the globe with dates in Europe, the Far East, Africa, Latin America and Australia. For more information on all things Bon Jovi, visit www.BonJovi.com.